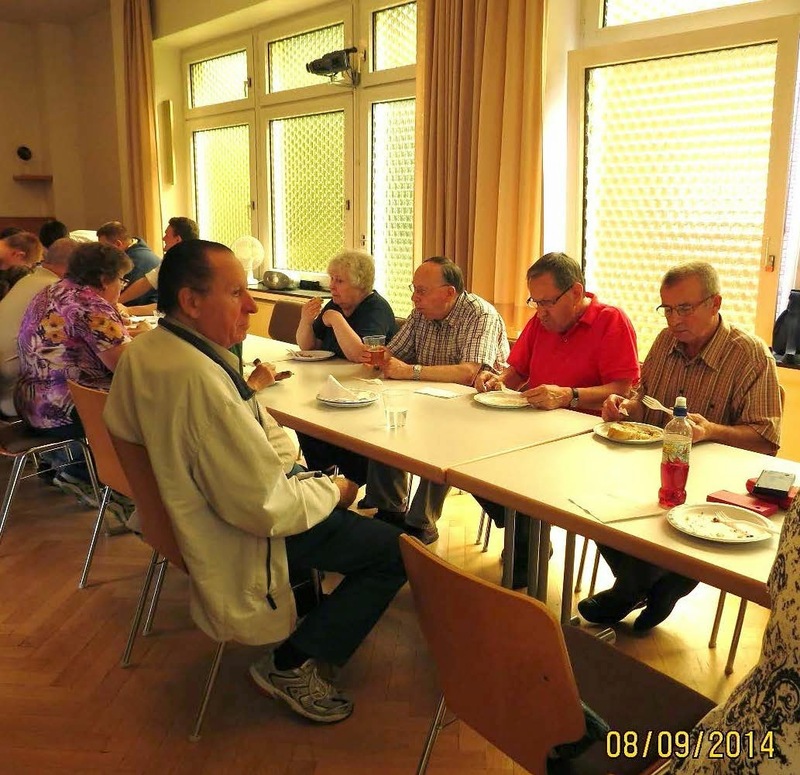 We want to start off with a District Meeting held in Oldenburg (OL). Elder Feild's group "going home" - we will miss him and his work with the German Jade Buccaneers American styl football teams here in WHV. 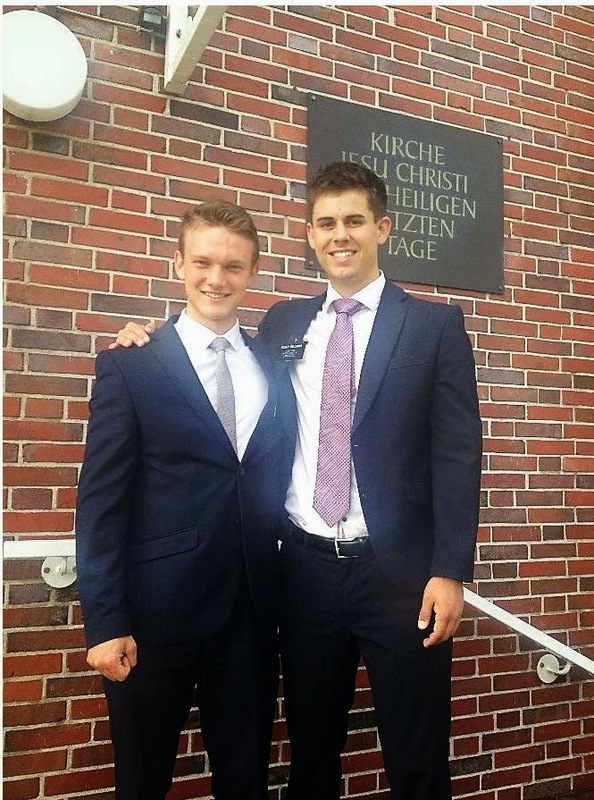 He and Elder Billings really got some good things going. Elders Young and WIlliams are continuing, but the Coaches of the Bucs really had great chemistry with Elder Feild. 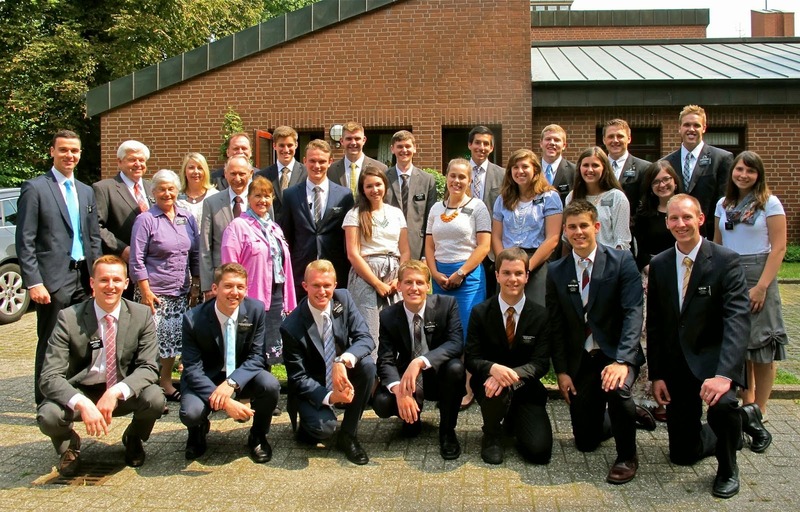 It was nice to be a part of that and hope it will also help those young Germans and their leaders come closer to gospel messages. 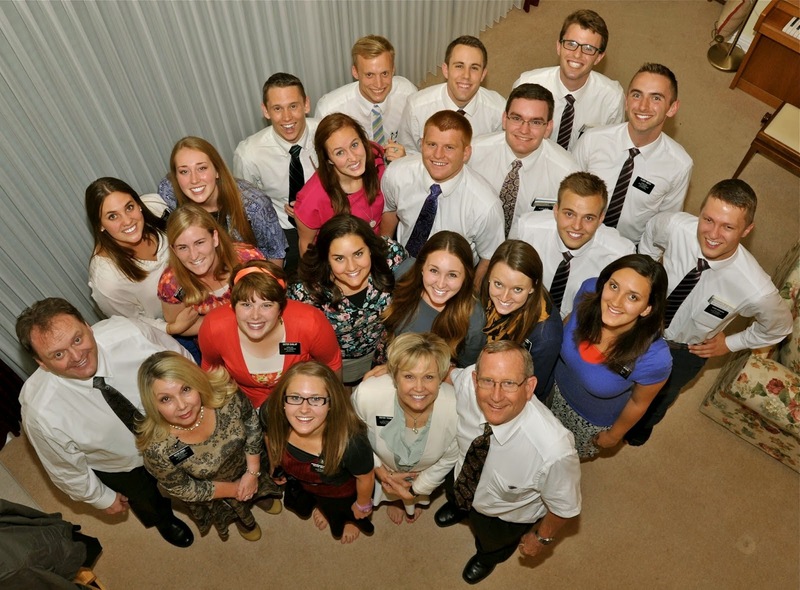 Elder Feild is in the 3rd row, right next to the Sister Missionaries in that row. He has the red hair :-) He's on his way to Cedar City at the "University" that has been established there. As I am from St George, I parse my words. 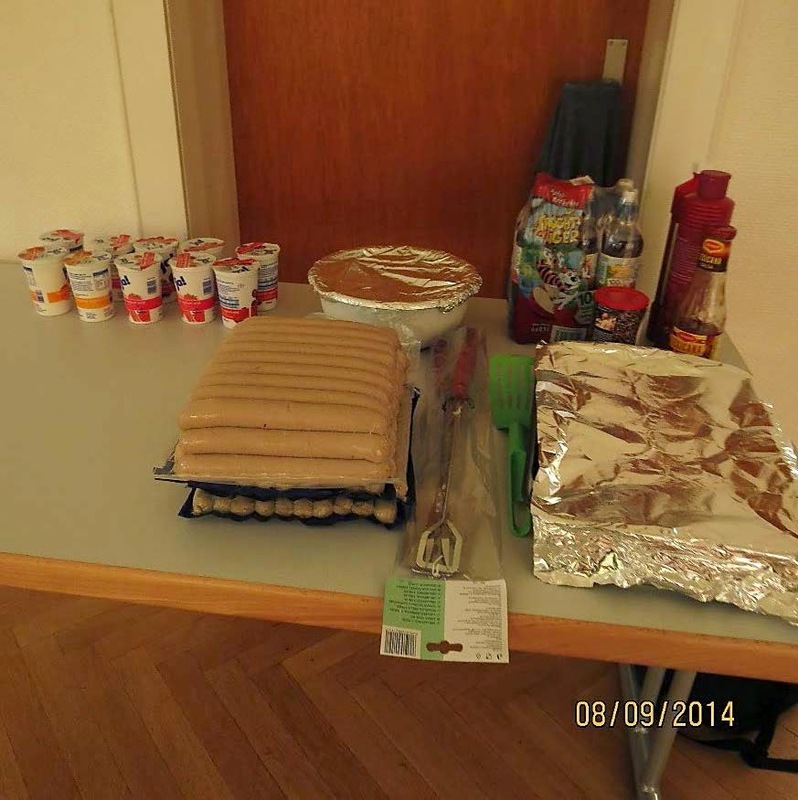 On 09Aug we had a Saturday "Grillentag". 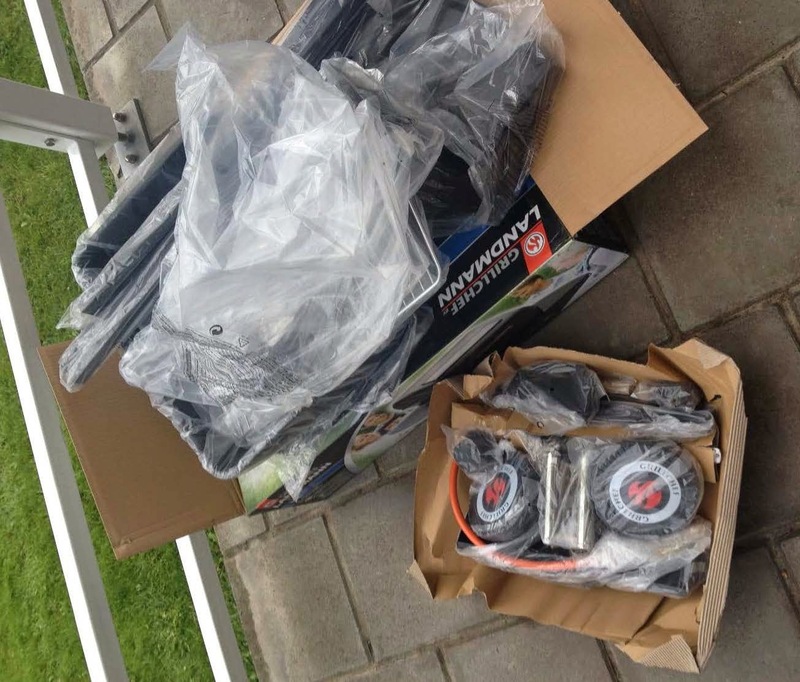 The Branch bought a gas grill to replace the two small charcoal briquet grills they have. Gas (albeit BUTANE) gives better heat control that is also instant and adjustable. Grill fresh out of the box! 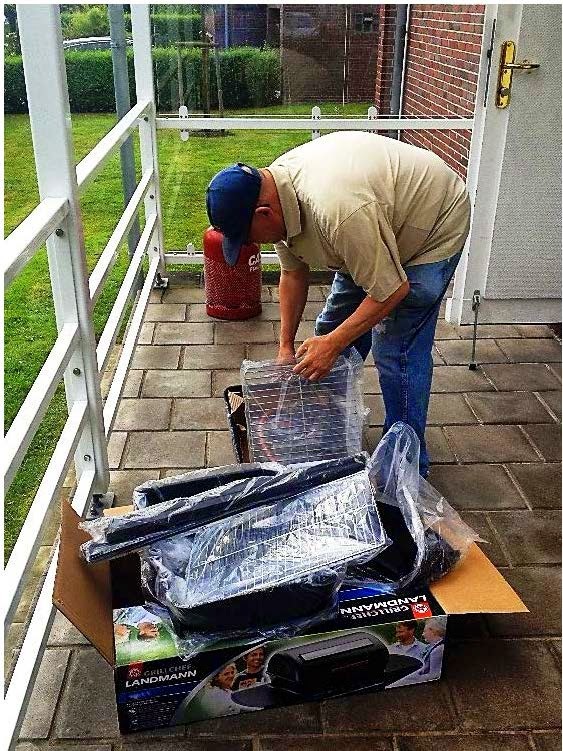 Below, Jürgen Schulz helped me pick up the grill and begin putting it together. Elder Young picthes in with the "parts is parts" sorting, fitting, and putting together. 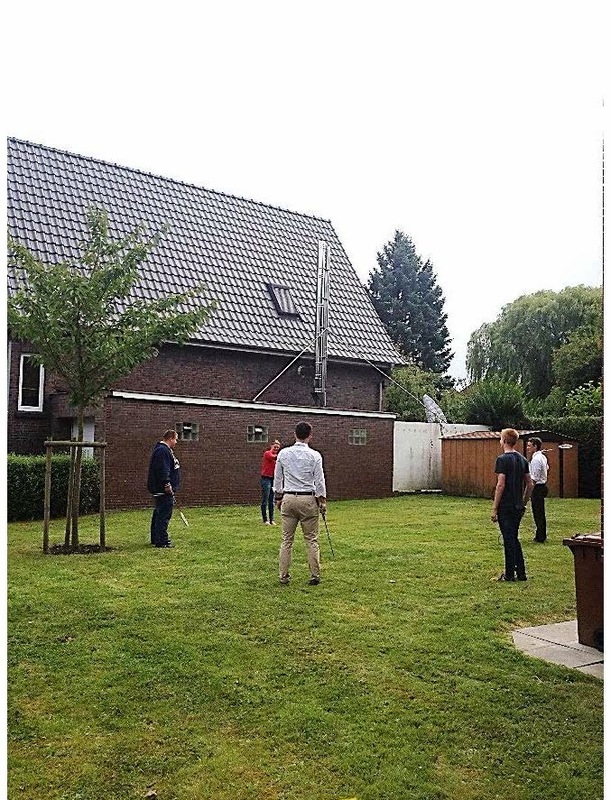 The Missionaries played Badminton with visitors and member youth who attended. We had plenty of rackets and 2 birds, but no net. They made do with what we had. 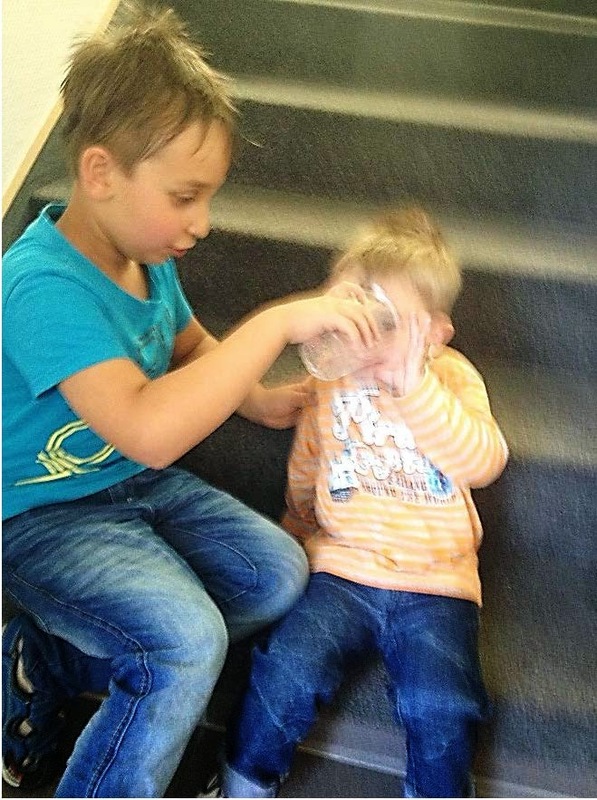 Devan Ramic gives little brother Jayden a drink. Elders Young and Williams at the table with visitors from the Jade Buccaneers. 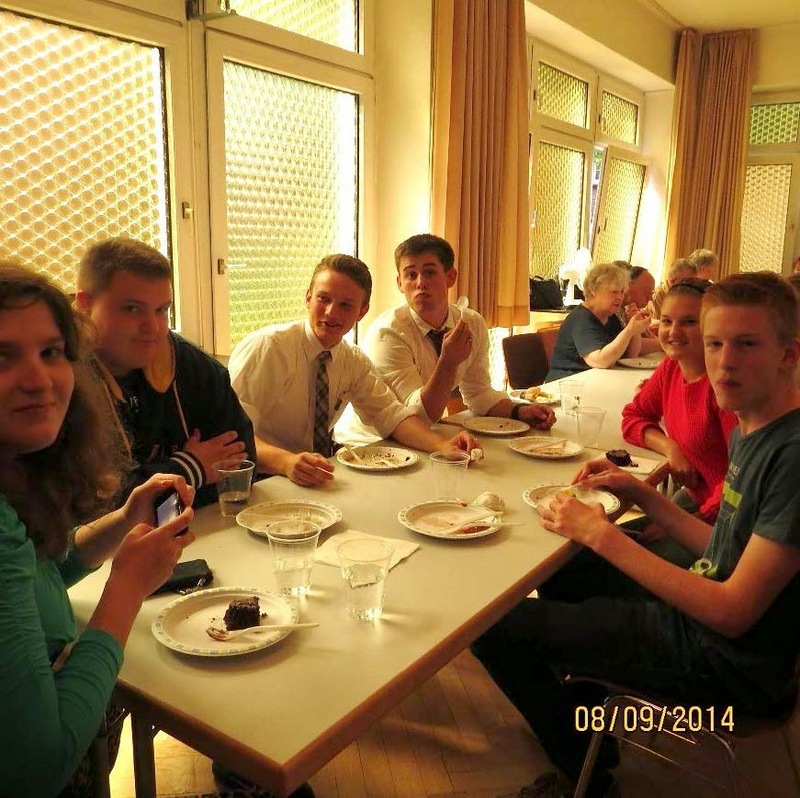 Below - Br Offner (from Austria, in white jacket) across from R-L Br Leschner, Karl-Werner Langer, his brother Kurt Langer, Margaret Langer (Kurt), and across from Sr Langer are Amy Woolcott and Jürgen Schulz. Another pic of the participants. Marion Sandmann ( 2d Counsellor in the Relief Society) & her son, David. Jade Buccaneer's team member and his friend. (Names unknown) All seemed to have a great time. Brother Kurt Langer helps clean up. He is currently the Branch Finance Secretary. He and his wife (Margaret) used to live in the Branch Building in earlier days. The branch building was dedicated in January 1960, renovated around 1985, and since had little updating other than equipment and maintenance. Of course, an internet system was placed and we have cable and WiFi for the building. That is very helpful to the Family History Center we have downstairs. And - Br. Zlatko Crnoglavac. He is also a photographer as a hobby. His roots go back to Serbia. He and his son, David, live in WHV, but David did not make it to the grill day. Br C has also served as Branch President and is currently the Sunday School President. 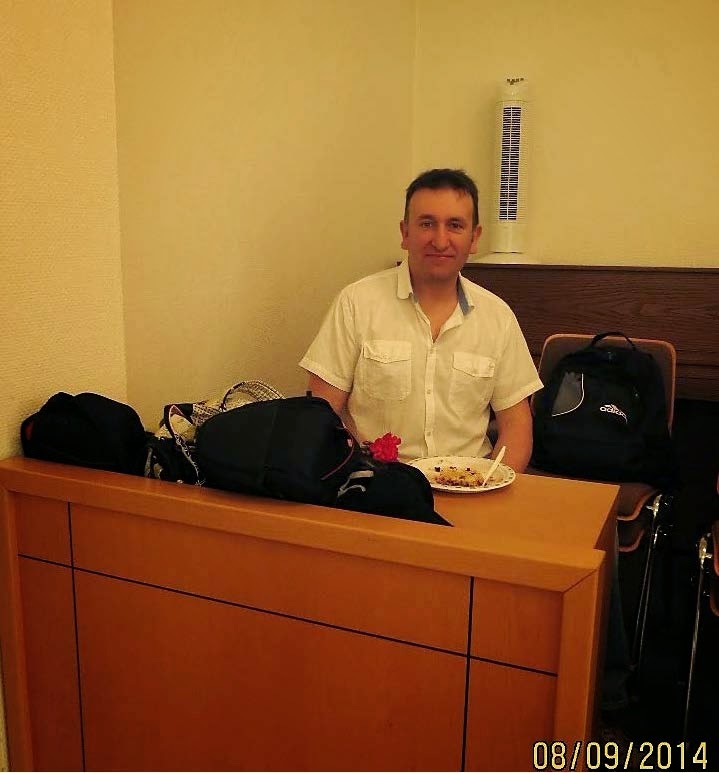 He is also an excellent teacher and his classes are very well done. We felt the need to help him with another "teacher" for Sunday School and Sr. Ilse Strauch was called. She also does a very nice job and shares the teaching load nicely. The Sunday School which was once again launched in Jan 2014 after a number of years absent, has gone very well and is a highlight of the meetings. Everyone seems to be happy about that. 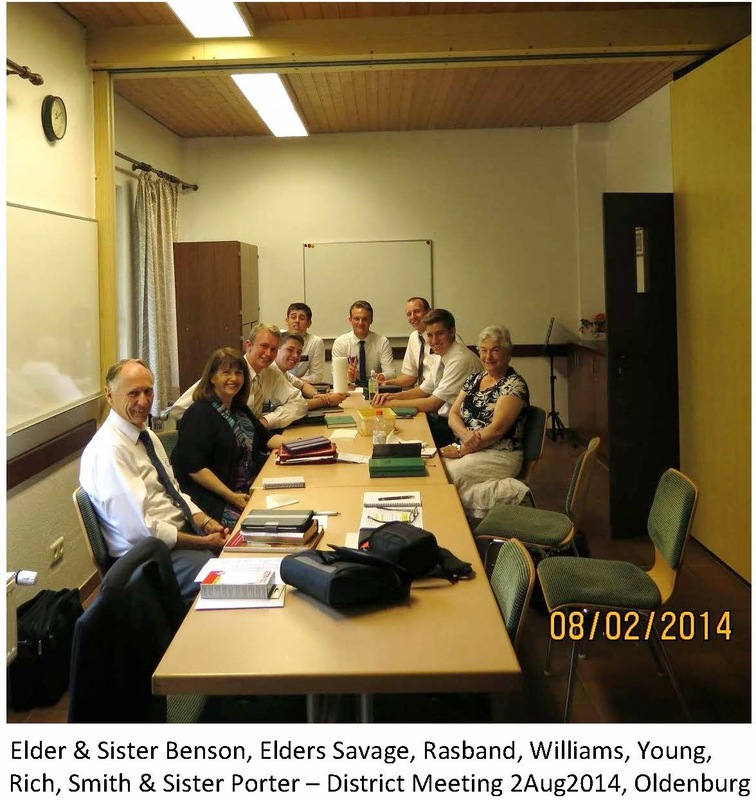 A shot of Südstrand (South Beach) with Elders Young (foregraound) and Elder Williams on P-Day. 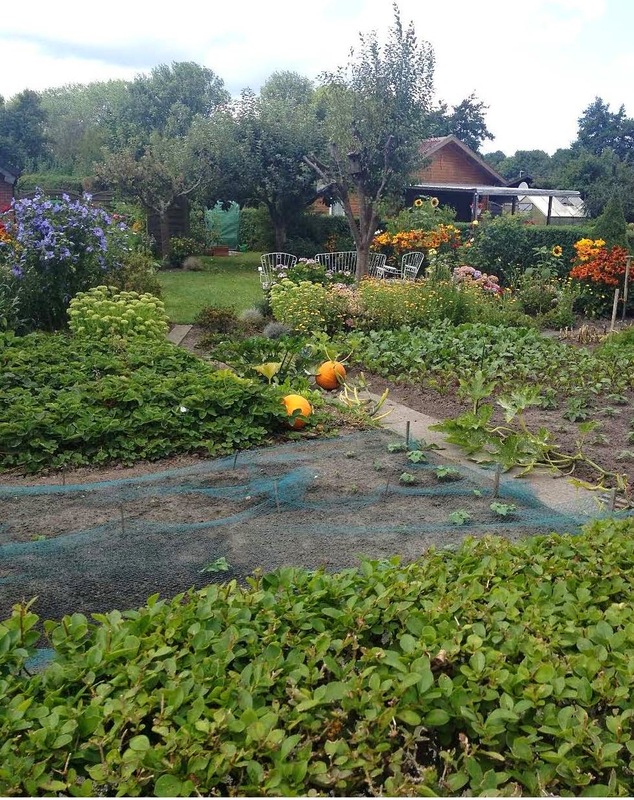 Nevertheless here is a nice pic of a German garden spot/plot. They do look very nice when one takes care of them. This one is next door to the Woolcott garden and I thought it so nice, I took a pic for rememberance. This is the entrance to the Woolcott's garden. 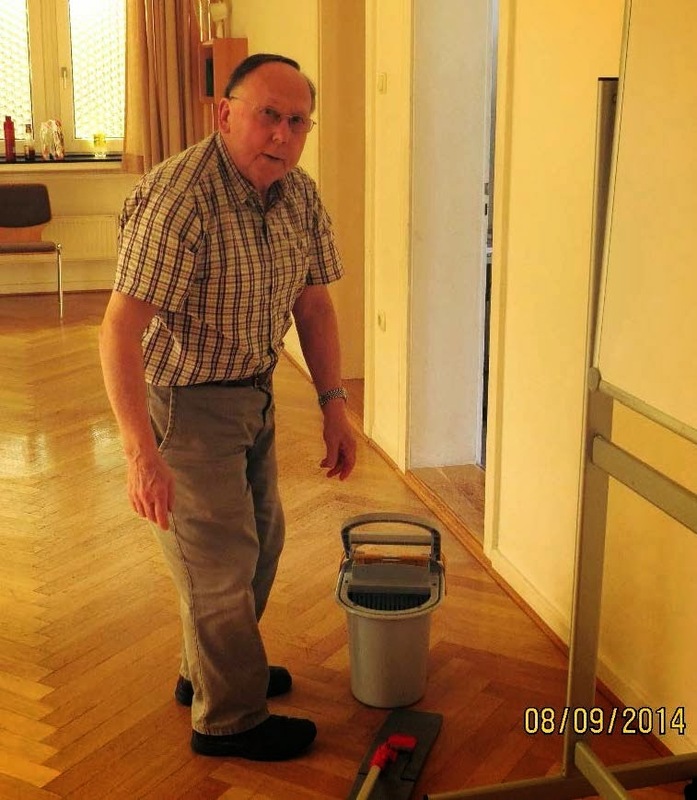 The Elders and we offered to help Br & Sr Schulz-Woolcott as they are both physically challenged and could benefit from some of the help in the heavier work. 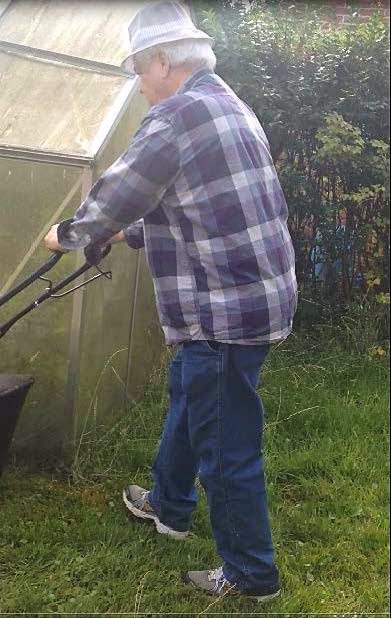 Elder Porter takes a hand an mowing 'em down! Sister Porter is not doing the - anything you can do, I can do better (altho she's correct) - but also taking a hand at power mowing! Elder Young says - "Take no prisoners"!!!! Sr Woolcott (Amy from Chicago) looking over the walkway to the newly painted garden house. Br Schulz (Jürgen) working along the privacy fence. During Autumn 2013 (around Oct or Nov) Elders Brindley & Fredricksen and we helped relocate this fence to its current alignment. Always something to do - a never ending story. 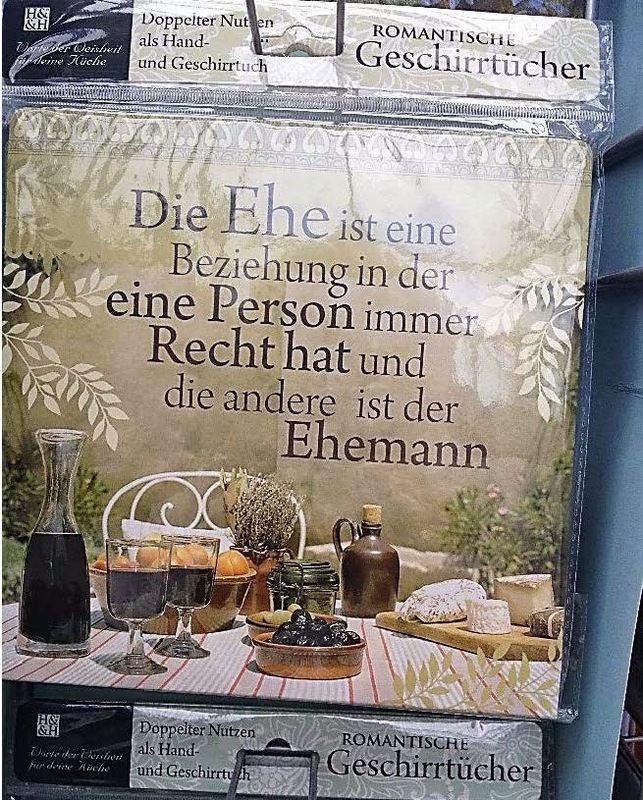 However, we need a lot of "training" to get the hang of "farming" in Germany:-) We also went to Budjadingen (don't try to say it, it's ok) to help Br & Sr Leschner. Br Leschner is our Elders Quorum President and Sr Leschner does dedicated work and support of the Family History Center.. 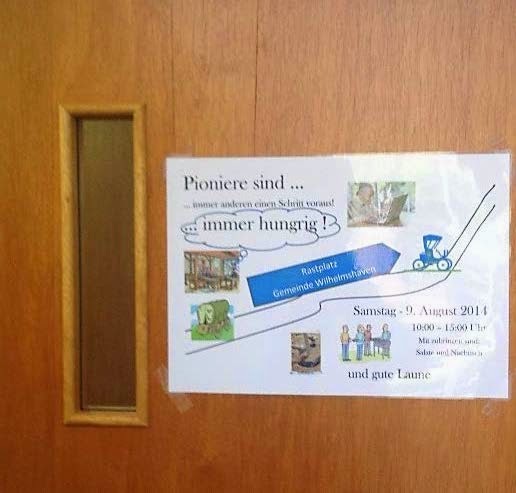 They also do extra in trying to keep the Elders fed and scheduling members to sign up for this so every Sunday the Elders have someone inviting them for "lunch-dinner" after church. This is my bucket as I became initiated to Hollunderbeeren (Hollunder Berries) picking around their farmhouse. This is Br Lescher hiding out in the upper branches of the berry bush. Ok, Ok - so he knows what he's doing!! Sr Porter was in the house working with Sr Leschner at the stove to pick the berries off the stems and also wash and "cook" them down. Hard work - but the juice and jams taste really great!! Well - this wraps up August.